Day 01 Indore Train from Indore at 10:05 PM. Reach Ahmedabad at 8:50 AM. Pickup from Railway station and transfer to Sasangir approx 360 Kms/ 6 Hrs. Evening will be at your leisure. Overnight at the hotel. Proceed to Sasangir which is famous for its Asiatic Lion. Early morning go for game viewing in the Gir National Park. Afternoon leave for Diu approx 90 Kms/ 1.5 Hrs. Today you will be at leisure for the full day can enjoy the beaches, churches and Portuguese Fort of Diu, Evening at leisure. Overnight at the hotel. Morning you will depart for Sasangir by surface (approx. 65 kms / 1hrs). 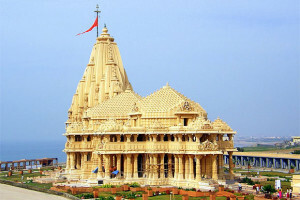 Enroute we visit the temple of somnath one of the twelve jyotirlingas. The temple is famous in history for the various invasions on the temple for its wealth. Later proceed to Dwarka approx. 250 Kms/ 4 Hrs. Enroute visit Porbandar. Evening will be at your leisure in Dwarka. Overnight at the hotel. Morning proceed for Bet Dwarka. Afternoon return back to Dwarka and depart for Jamnagar approx. 148 kms / 03 hrs one way. Marine park Near Jamnagar can be visited on this day. Visit the temples in Dwarka. Evening will be at your leisure. Overnight at the hotel in Jamnagar. Early morning you will proceed for Ahmedabad approx. 317 Kms/ 5 Hrs. Afternoon reach Ahmedabd. Sightseeing and night in Ahmedabd. Complete day sightseeing in Ahmedabad including Akshar Dham. Train for Indore at 7:45 PM. Day 08 Reach Indore at 6:05 AM. Any items of personal nature like tips, laundry, telephone calls etc. The protected area of Gir National Park is closed from 16th June to 15th October every year. It is the period of when south west monsoon arrives. Literally, December to March is climatically best season to visit the park. Though, April and May are very hot but considered as the best months for wildlife viewing and photography. Day 01 Indore – UdaipurTrain from Indore at 8:05 AM. Reach Udaipur at 7:15 PM. Pickup from Railway station and transfer to the hotel. Overnight in Hotel. 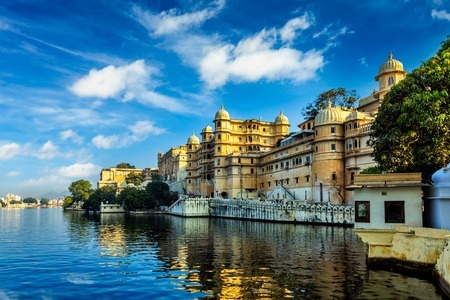 Day local sightseeing in Udaipur. Saheliyon ki Badi, Rana Pratap Memorial. Evening will be at your leisure or free for shopping. Overnight at the hotel. Morning Leave for Nathadwara – 1 Hr. After darshan at Nathadwara leave for Chittaurgarh /2 Hrs at 11:00 AM. Leave for Chittaurgarh approx. 100 Kms. Sightseeing Chittaurgarh Fort including Rana Kumbhar Palace, Fateh Prakash Palace, Jaya Stambh, Padmini’s Palace. After Dinner at Chittaurgath take a train for Indore at 10:55 Pm. Overnight in Train. Day 04 Reach Indore at 6:50 am. Train Class 3Ac. 3 Ac. 2 Ac.